2018 is the Year of the Tractor at the museum. Curator Peter Liebhold explored gems of the museum's tractor collection and what they can teach us about the history of farming in America. Agriculture is a significant part of American history, and nothing is more symbolic of farming than a tractor in front of a red barn. The National Museum of American History has 14 full-size tractors and numerous scale models in its collection, not to mention photographs and other related objects. 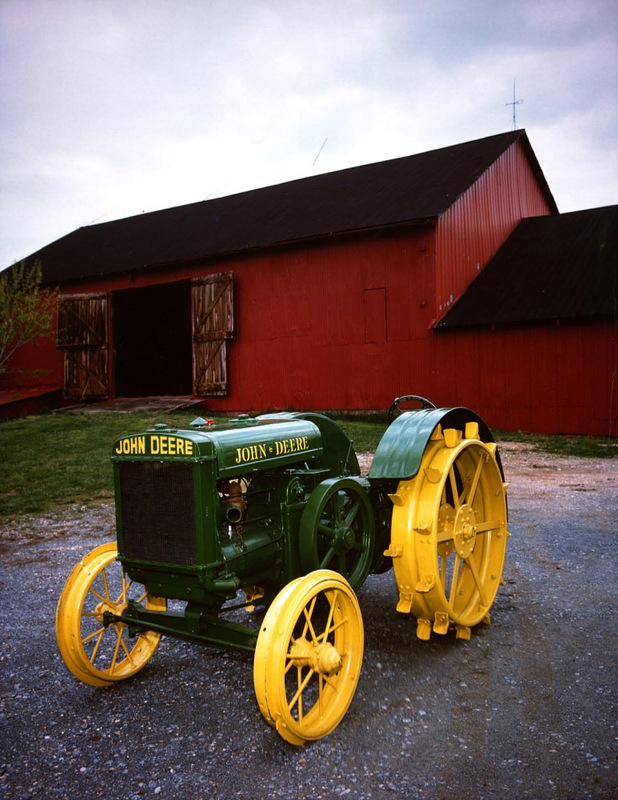 The John Deere Model D was introduced in 1923 and was the first tractor that the company marketed under its own name. With numerous companies manufacturing tractors, and many making wild claims, farmers became increasingly aware of the importance of quality from brands they could trust. 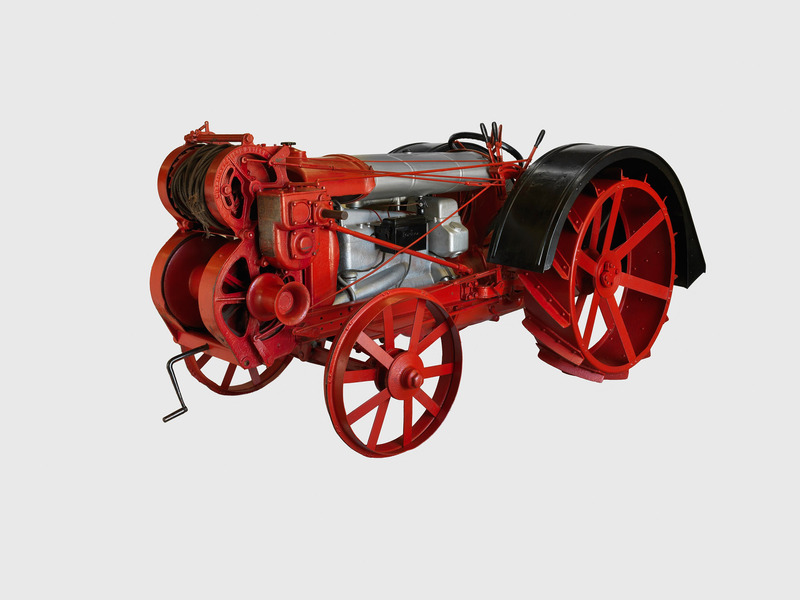 Each tractor in the collection illustrates a different aspect of how farming changed over time. These are six highlights from over 150 years of tractor and farming history. 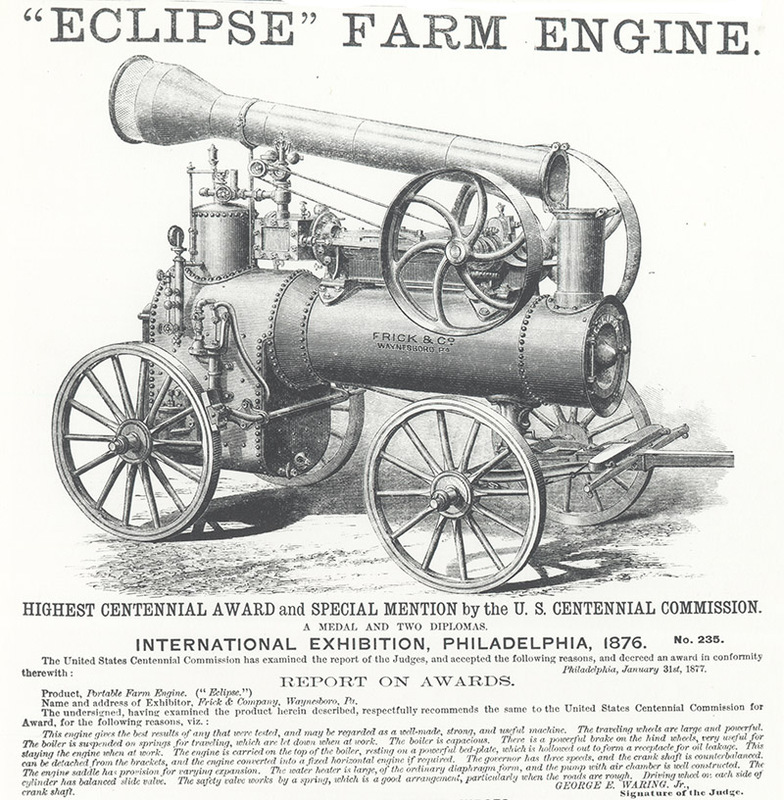 Advertisement for the Frick farm engine, 1878. 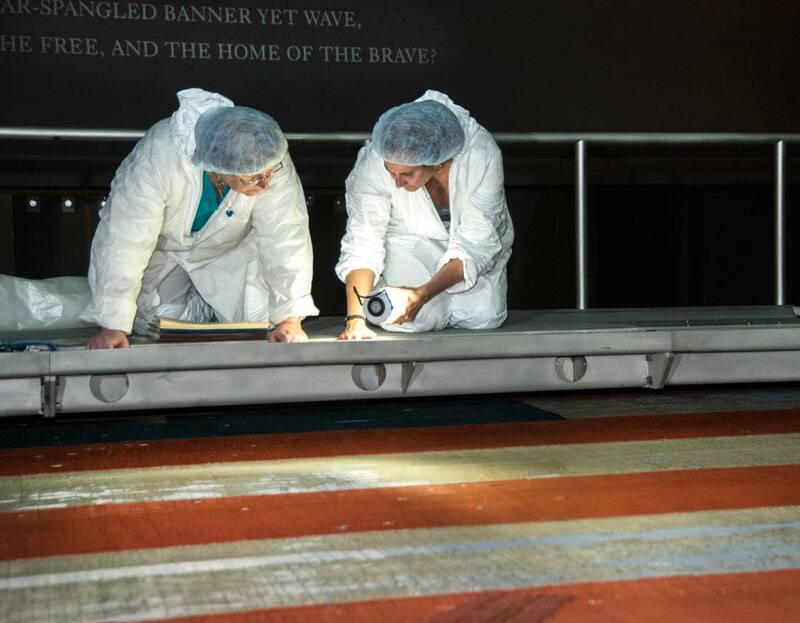 The museum's Frick Eclipse is currently on display at the National Museum of Industrial History in Bethlehem, PA.
For millennia farming was accomplished with human and animal power. Some of the earliest engines began appearing in fields in the mid-1800s. Wood, coal, and even straw fueled a fire to heat water that generated steam to power the engine. Some farmers bought these portable steam engines to run equipment like circular saws for construction or threshing machines for separating and cleaning grain. Steam engines made farmwork less reliant on human brawn or animal power. Steam-powered harvesting, early 1900s. A large group uses threshing machines belted to steam-powered traction engines to process mountains of wheat. Animals were still being used to haul the wagons. Note the small tenders of coal being towed by the traction engines. Courtesy of Library of Congress. Early versions of steam-powered engines were not self-propelled and still needed to be towed into the fields by teams of draft animals like horses and mules. In addition, the high cost of the portable engines meant that only a few could afford them. Charles Hart and Charles Parr set up a business in Charles City, Iowa, in 1900, originally selling a two-cylinder gasoline engine they developed. In 1903 the firm built 15 self-propelled traction engines. As part of their advertising campaign, their sales manager invented a new word to describe their product: tractor. 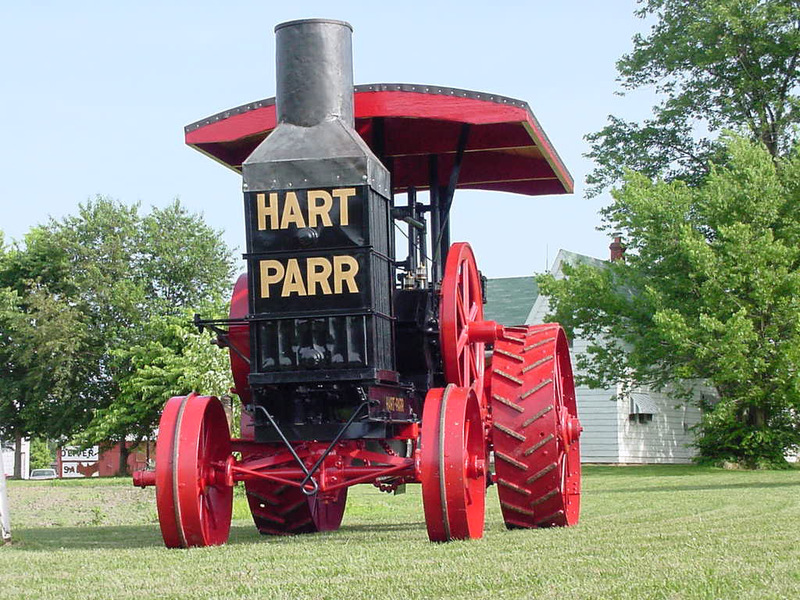 The word "tractor" was first coined by the Hart Parr company. The museum's Hart Parr #3 is the oldest surviving internal combustion engine tractor. It is currently on display at the Illinois and Indiana Antique Tractor & Gas Engine Club. Relatively few farmers could justify the purchase of this 14,000-pound monster, and despite its size the machine only produced 30 horsepower. Most farmers did not need a large tractor. Instead, they were attracted to small, inexpensive general-purpose machines that could do both field and belt work (in which the tractor powers another machine with a long leather belt). At first, it was not clear what type of firm—automotive or agricultural—would build and market lightweight internal combustion tractors. In 1916 nearly 100 manufacturers sold tractors, but total sales were small. Ford and International Harvester built the market by mass-producing tractors and engaging in a price war. Deere and Co. and Ford were two of the manufacturers who made cheap and versatile tractors. Deere and Co., founded as a plow and implement maker, got into tractor sales by buying the Waterloo Gasoline Engine Co. in 1918. 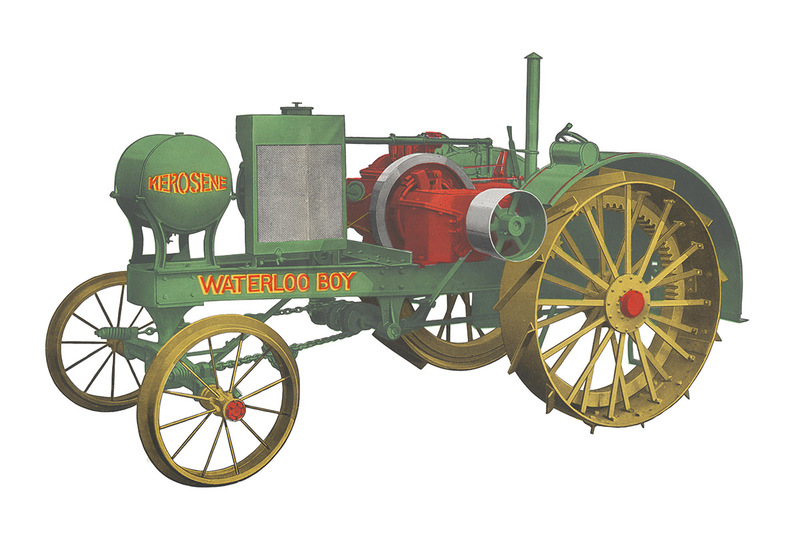 By 1932 over a million lightweight tractors had been sold, but competition narrowed. Three companies—International Harvester, John Deere, and Allis-Chalmers—represented over 50% of the market. 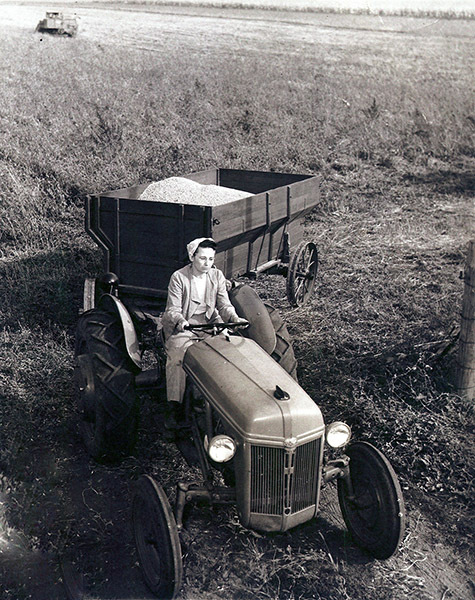 The Fordson was the first tractor sold by Ford in the U.S. It quickly became popular: Ford sold 36,000 tractors in 1921. By 1923, 75% of tractors purchased in the U.S. were Fordsons, but the company did not continue to innovate. In 1928, with slumping sales, Ford abandoned U.S. tractor production. Mary Hawley Bardole driving a Ford tractor in the mid-1940s. After sitting out for over a decade, Ford got back in the tractor business with a partnership with engineer and innovator Henry Ferguson. Courtesy of Roy Bardole. In the 1950s and 1960s tractor use had successfully displaced mules and horses. Manufacturers refined the equipment, adding new technology like three-point hitches and power take offs (to power auxiliary equipment). 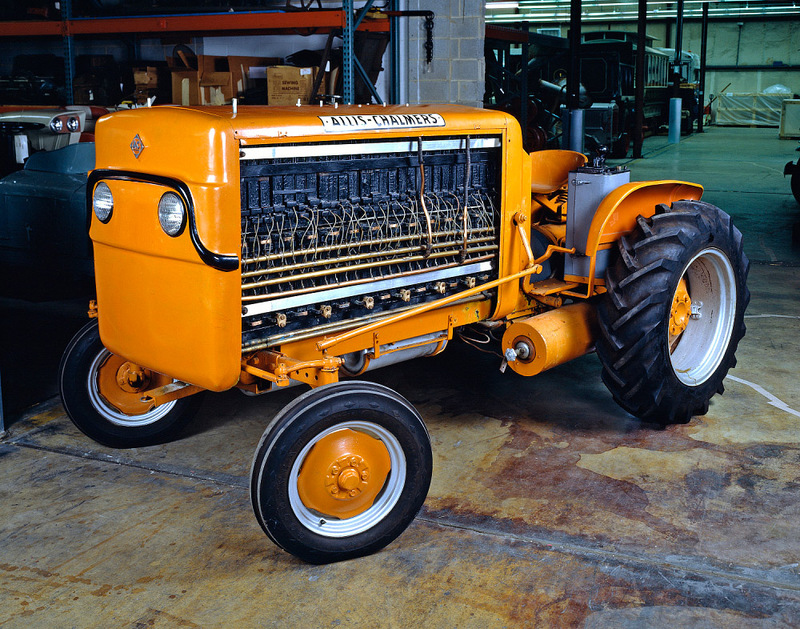 In the 1950s Allis-Chalmers began research of fuel cell tractors. Unlike standard batteries, fuel cells do not store energy but convert chemical energy to electric energy. This tractor functioned, but was not economically practical. Manufacturers experimented with some alternatives to internal combustion engines, but in the end the rugged diesel engine won out. 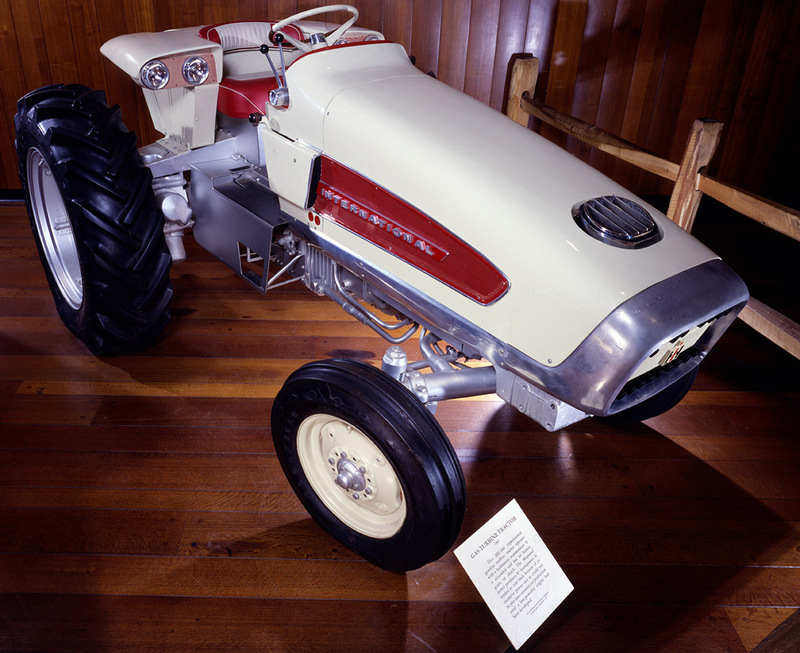 In 1961 International Harvester created HT-340, a concept tractor for the jet age. A lightweight 90-pound turbine produced an astounding 85 horsepower, but it was very noisy and consumed vast quantities of fuel. While the turbine was not successful as a practical power source, the hydrostatic transmission saw real use. It is currently on display at the Illinois and Indiana Antique Tractor & Gas Engine Club. 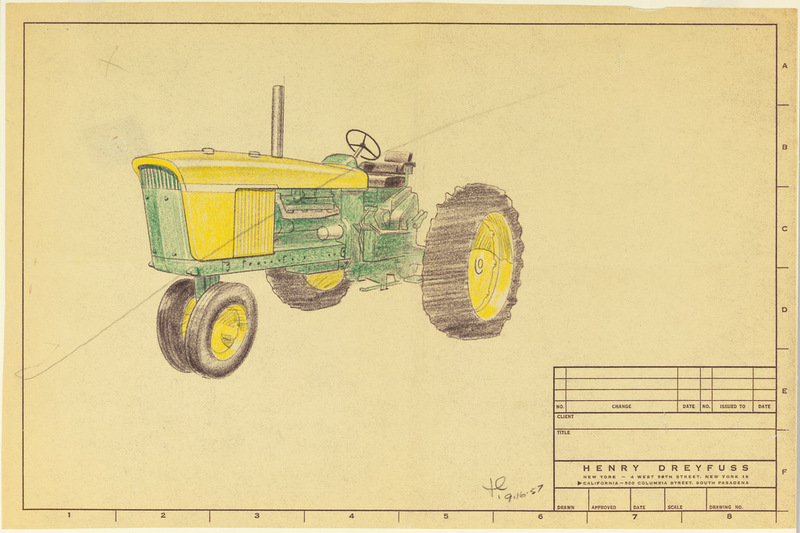 Design drawing for John Deere 720 tractor, 1957. 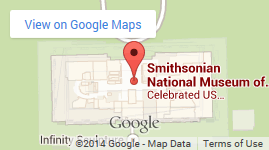 Courtesy of Cooper Hewitt, Smithsonian Design Museum. Attractive styling helps sell even utilitarian vehicles. Deere and Company hired Henry Dreyfuss's industrial design studio to enhance the aesthetics of its tractors in an effort to be more competitive. The sketch has some features already standard for general-purpose row crop tractors: the tricycle type tractor was introduced by International Harvester in 1924 and rubber pneumatic tires were first marketed by Firestone in the 1930s. Despite special features—power steering, multiple speeds (16 forward and eight reverse), a diesel turbocharged engine, air-conditioning, AM-FM radio, and a hydraulic adjustable seat—a tractor's technology is not always what makes it important. 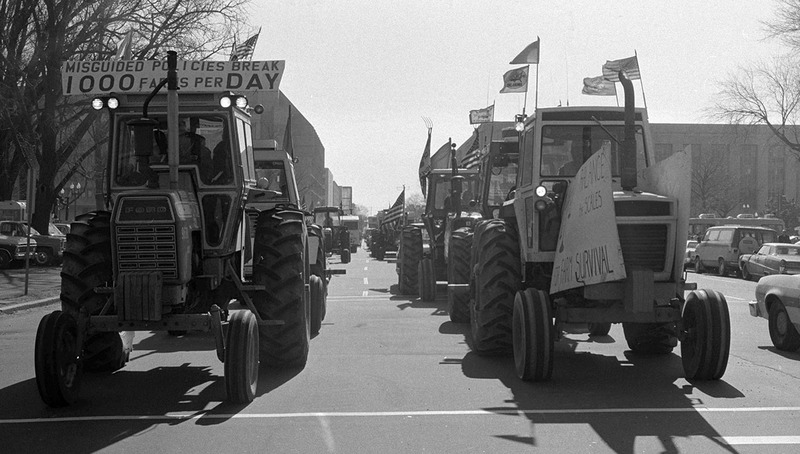 In 1979 thousands of farmers drove tractors to Washington, D.C., to participate in the 1979 American Agriculture Movement Tractorcade protest. 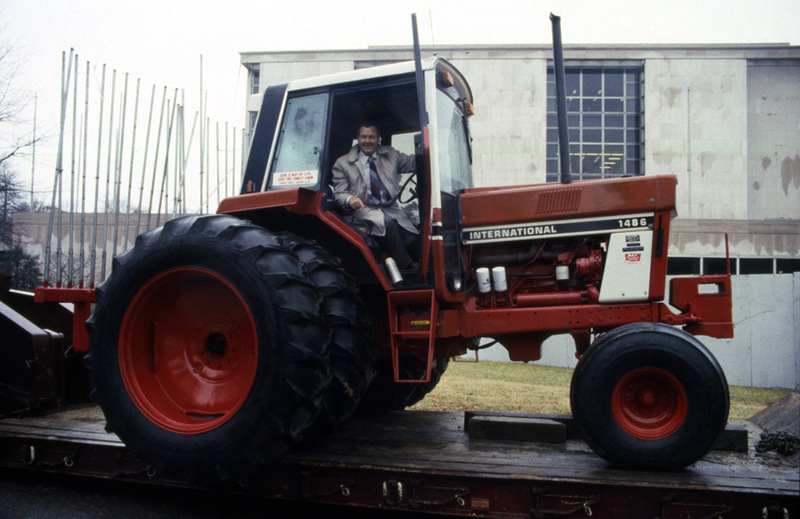 Gerald McCathern drove his tractor 1,800 miles from his farm in Hereford, Texas, to Washington, D.C., to participate in the 1979 American Agriculture Movement Tractorcade protest. American Agriculture Movement members raised money and donated Gerald McCathern’s International Harvester 1486 tractor (around 1986) to the museum. Here he is seated in the tractor in front of the museum. Courtesy of Smithsonian Archives. The American Agriculture Movement was organized in the fall of 1977 in response to a growing farm crisis. The 1977 Farm Bill had ignited concerns for many farmers who believed the bill would adversely affect farm income by lowering commodity prices to less than the cost of production. Gerald McCathern coordinated the D.C. demonstration, hoping to bring the desperate financial situation facing American farmers to the attention of Congress. Tractors roll along the National Mall as part of the Tractorcade protest. Courtesy of the Smithsonian Archives. Early tractors used power to revolutionize work on the farm, and centuries later farmers used tractors to show the power of protest. Whether protesting on the streets or harvesting food for our tables, the tractors in the museum's collection help us better understand agricultural history. John Deere is a generous supporter of food and agriculture programs at the museum.